First up we have patch 7.3.5, which was implemented several months ago as a major shakeup to how leveling was approached. 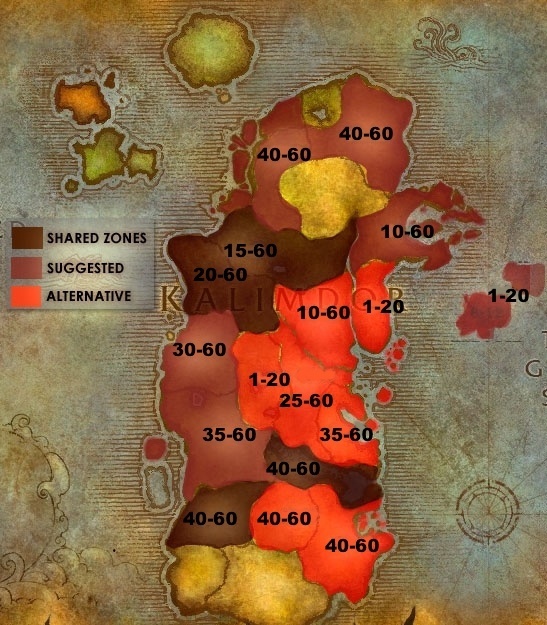 Instead of going from low to high level zones like the way the game had always operated, Blizzard opened up the map with more of a Guild Wars 2 type system -- you now have more of a choice of where to go with a scaling mechanic. But when combined with 8.0's massive stat overhaul, things got murky. While Leveling your characters in BfA you'll also need to complete the new War Campaign quests in order to unlock world quests and the ability to venture to the other factions contintent. We cover all of this in our War Campaign guides and with out new Guide Tabs feature you can have both Leveling and War Campaign guides loaded at the same time to easily switch between them. While the expansion kicks off with heavy references and scenes of this war, leveling through the Horde side of the new content it barely came up again. Except for all the times I had to mine Azerite to make sure my faction was the leader in the Azeroth version of a nuclear arms race. The Alliance side of things had some heavier references to to the war, at least in the portions I played, with one scenario in Stormsong Valley where a fleet of Horde aggressors bombed a town. The Horde 12-25 (Barrens + Stonetalon Mountains) guide has been rewritten and revamped. In addition, there has been numerous tweaks to the speedrun route to make things faster and easier to follow. Also, in case you haven't noticed I am now adding about 40% more info per step and redoing all the images. 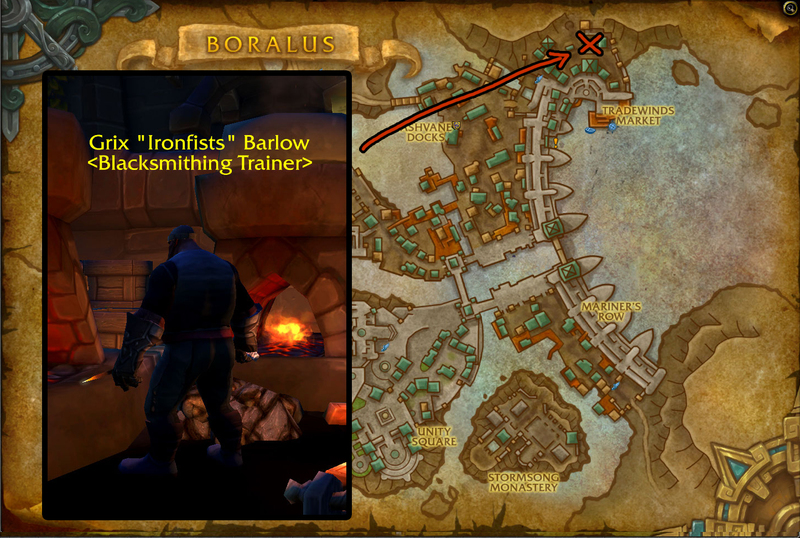 Unlike with my previous vanilla guides, I am now giving a brief explanation of where to go and what to do with each step along with any other helpful tips. Patch 5.3, like all new updates, is attracting a throng of returning players, many of which will be undergeared and willing to spend Gold to catch up with the rest. While the profits might not be as lucrative as with the new items, there may be less competition here. The key here is scanning the market for in-demand leveling gear and producing the right amount to avoid getting stuck with an unsellable stack of outdated items. My side project is Super Castlevania IV, which I do stream it a few times a week for a few hours. I talk a lot about WoW speedrunning on my channel, so feel free to follow and hang out to discuss vanilla WoW if you like. Classic WoW will be my main focus for a long time. Unfortunately I will have to wait until Classic WoW comes out before I start streaming it. Fish, meanwhile, were significantly devalued by the Underlight Angler, an artifact-quality Legion fishing pole that made fishing so productive that a very small number of fishermen could supply an entire server with materials for cooking. At current rates, fishing in Battle for Azeroth is more time-consuming, which means less food to go around, and higher prices at the auction house. Of course, Blizzard could change spawn rates in a future patch, but as of now, signs point to an economy in which common necessities will be much more scarce. Once characters reach the level cap, gameplay turns from leveling to the end-game. This represents the culmination of the leveling process and the beginning of the deeper challenges awaiting max-level characters. While play prior to this point is oriented around accumulating experience and gaining new skills, the end-game represents the polished 'final destination' for players, at which characters are fully developed and ready to tackle the biggest challenges in the game, or to relax and make their own adventure. "'Going big' increases your production and decreases your waste. How does one make a lot of cards, though? Since they're tied to a daily cooldown, the options are to buy the cooldown from other scribes, or to have multiple scribes... If you plan to step it up and make decks, though, you'll need to either develop a network of scribes willing to sell you their daily cooldown, or make a bunch of alts into scribes." There are various upsides to this imbalance. Max level players are able to complete lower level content with ease, allowing them to swiftly complete missed quests and achievements in earlier zones, and can travel through zones without being constantly attacked, since mobs will only attack players several levels higher than them if walked directly into. Max level also makes it possible to solo earlier group content such as dungeons and even raids, making farming loot such as mounts far easier, and for those interested in a challenge opening up a new subtype of play at slightly higher levels. But when it comes time to level another character for any reason, this pace is going to make me think twice. And that's a shame. I'm not someone who gets any particular joy out of instant-boosting a character to max level. 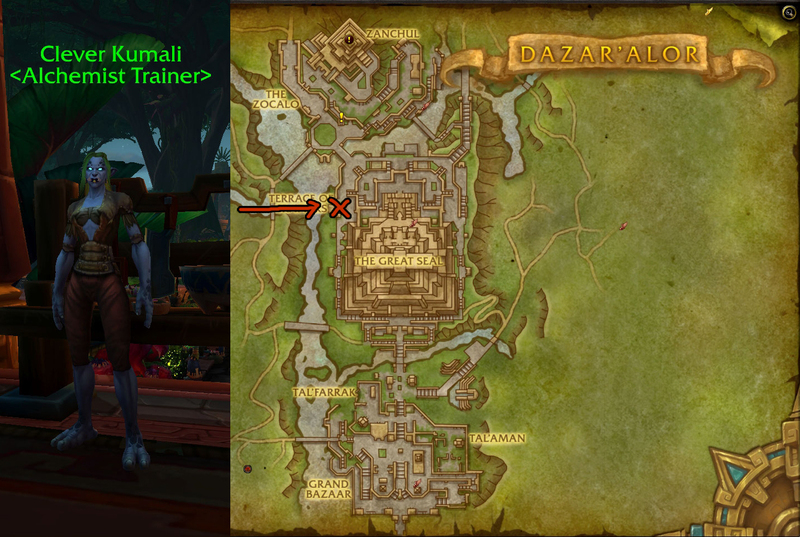 There are dozens of zones -- no exaggeration -- that I wouldn't mind experiencing again, if I could do a few of them at a time and feel like I was making meaningful progress on another level-110 in the process. The most recent run I did on my hunter, I never set foot in Ghostlands, nor did I need to fully complete Dustwallow Marsh. There are a LOT of quest lines in each of these zones that might not be available unless you progress and complete story-line quests in order. Northern Barrens and Andorhal are especially bad in this regard, but many zones you can easily miss out on a lot of quests if you don't do a vital quest. So make sure you keep an eye on the minimap for quest ! indicators. At 98 you have the option to drop what you're doing and return to your capitol city to start the quest for your Legion Artifact weapon. However, I do not believe this is necessary to do right away unless you're struggling with kill speed in your current gear. I would recommend waiting for a natural pause, such as hearthing to repair and clear your bags. From 100 to 107 you won't even really fight mobs that often; only just enough to clear the way to any treasure you need to pick up. The compensation is only available to Auction House delivery. If your wow gold is removed within 24 hours after you have received it, then we will bear up to 50% loss of your removed gold (not more than 50 dollars). If the prices change after you have placed order, then set your purchasing prices as basis. Please follow this Removed WoW Gold Compensation Statement for a smooth compensation. Fishing requires much time and does not yield much profit until its later levels. Unless you enjoy it for its own sake, avoid seriously delving into fishing until your level limit. It is not a bad idea to do a little when starting out a new character on a new server, though - the gray items you fish up sell for good money to a starter, which can help you out with your other tradeskills. In the end leveling quickly in World of Warcraft is a lot about experience and leveling you 2nd or 3rd character will always be quicker than leveling your first one, no matter what leveling guide you use. We at FMG hope you find our World of Warcraft leveling guide useful and if you need help with anything or have comments about the guide, leave us a comment here and we’ll get back to you! According to a recent report, the developers dug into the numbers and saw that this was a legitimate issue, as leveling in that range took about 15 percent longer than levels before or after. While the hotfix notes don't go into too many details, Blizzard explains that the experience required to gain a level has been lowered for the range of levels 40 to 100. That brings the amount of time needed to level between the magic 60 to 80 range down by 14 percent, with a smaller reduction in time between levels 40 and 49. We figure a lot of math had to go into figuring out a proper adjustment here but, assuming Blizzard's estimates are correct, that should appease players who felt like they were stuck within a certain range for too long. One of the most profitable ways to farm in patch 5.4 is to buy Potions of Luck from the auction house and head to the Vale of Eternal Blossoms. In the northwestern corner, specifically the Ruins of Guo-Lai and the Guo-Lai Hills, there's tons of mobs that can be aggroed in huge groups and AOE'd down. The Potion of Luck will increase your chances of finding loot on the monsters, and these mobs in particular drop good crafting mats, Skycrystals, motes of harmony, and Gou-Lai keys. Many guides tout this as the greatest way to farm gold; depending on your ilvl and clear time, you can earn anywhere from 2.5-7.5k an hour. With the level cap being raised in each expansion, new players are faced with a rather long and dated leveling experience until new level cap is reached. Blizzard already implemented stat squishes through the Battle for Azeroth 8.0 pre-patch last month, and has further lowered the amount of experience required to level, but even Blizzard believes that new players aren’t getting the leveling experience they deserve. This so much. I hate that this happens because I love Prot so much. I can pull so much stuff and not die, which comes in handy when you don't have Legion Loremaster (I re-joined recently, been trying to get it done but y'all know it's not quick). Basically that's the only reason I keep my guy in Prot. I only go Ret when there is a significantly better tank in the group or in PvP. Si vous êtes en train d'XP sur une autre spécialisation que celle que vous prévoyez de jouer (comme DPS alors que vous prévoyez de jouer Tank/Heal), vous recevrez au moins 2 pièces à chaque zone, puis 1 pièce en commençant la Campagne de Guerre, lorsque vous choisirez votre Main Spé. Choisissez alors les traits qui vous aideront à gagner de l'expérience rapidement. Third: Do Warfront when you can (if they open for the first week which I haven’t read anything that says they aren’t) because it gives a 370 piece of gear and gives you access to Arathi Highlands where you can kill a world boss and do quest for rep. They did remove the 355 drops (despite what Preach said in his last video, I just went and checked it before typing this up) and they only drop 280. “We are seeing the same sort of discrepancies that folks in this thread and others have pointed out,” said Hazzikostas. “But we still have yet to pinpoint the exact aspect of scaling that we failed to account for. We want to understand why the numbers are off and fix the underlying cause: Were stats on gear reduced too much? Some aspect of creature armor or other combat calculations? Are our baseline values accurate, but the shape of the scaling curve wrong such that it’s particularly far off the mark in the 60-80 range?